How important is schedule to you? If you’re the kind of nurse who loves working three 12s and having the rest of your week off, you might find that options are limited away from the bedside. Many non-clinical positions are Monday-Friday, daytime operations that only offer 8 hour shifts. Some may offer 4-10s or rotating shifts, but 3-day work weeks are hard to come by outside of direct patient care. What part of nursing do you enjoy? If you really love taking care of patients, and really loathe sitting in meetings and doing paperwork, that’s something to consider when thinking about your BSN. Leadership and education positions tend to involve a lot of writing and speaking; if figuring out schedules, sending emails, and giving presentations is not your thing, most administrative BSN roles won’t be a good fit. On the other hand, if the clinical aspect of nursing is your passion and you intend to eventually pursue an advanced practice role as a nurse practitioner or nurse anesthetist, you will absolutely need your BSN first. CRNA programs also require at least a year of recent critical care experience, so you won’t want to stray far from the bedside once you have your BSN. Is your goal to get a raise? If you’re thinking of getting a BSN just to earn more and become more marketable, it helps to have the facts. In many hospitals, there is no wage increase for earning your BSN. Most facilities determine pay based on the job description, more so than the credentials. For instance, the administration looks at market values and determines that RNs at the bedside should make X dollars an hour. Some may add a bit to the hourly wage for a BSN, but many do not; a bedside nurse is a bedside nurse and they are paid as such even with a BSN. This is certainly something many would like to change, but before that can happen there will need to be a fundamental change in BSN education. Currently, a nurse can earn a BSN in a matter of months online without a single live lecture or any hands-on learning. Few, if any, BSN programs require a clinical component or practicum. There are no advanced clinical skills, no new knowledge significant enough to affect performance at the bedside, and therefore no real justification for an increase in pay. An overhaul to existing BSN programs, including advanced clinicals, might help to change that and make BSNs more marketable. If you do intend to transition into a higher-paying leadership role with your BSN, go for it; just bear in mind that most management and education roles are salaried, not hourly, so figure that into your calculations. If you’re someone who relies on occasional overtime or likes to pick up holidays for the premium pay, these differentials usually don’t apply to salaried (aka “exempt”) positions. Are you hoping for a competitive edge in the job market? If you’re trying to get ahead, continuing education and impressive credentials will certainly help. Bear in mind, though, that the BSN is becoming very commonplace now among bedside nurses. 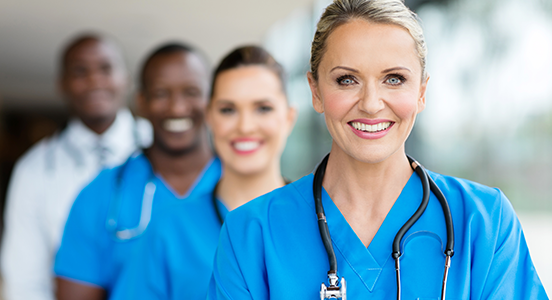 Many hospitals strongly encourage, and even require, nurses to obtain a BSN within a certain number of years after hire or in order to apply for transfers within the organization. In the recent past, BSN nurses were in leadership roles as nurse managers, directors of nursing in long-term care, and nursing instructors in diploma and ADN schools. Now that the average bedside nurse has, or is expected to earn their BSN, leadership and advanced roles are requiring even higher levels of education. You should absolutely pursue the degree if you want to advance, but many nurses now are also seeking additional certifications in various specialties like diabetes, oncology, or wound care, in order to stay competitive. What is your current financial situation? Even with student loans and tuition reimbursement, many nurses often have out of pocket expenses for every semester. If your nursing job lands you a certain income bracket, you may only receive partial student loans and have to pay the remainder of tuition yourself. That’s something to consider if money is already tight. Also remember that currently, getting your BSN does not guarantee an increase in monthly income. All too often BSNs find themselves in the same job making the same money, but now with a student loan payment to contend with every month. How close are you to retirement? The repayment period for most student loans is 10 years, so it may not be worth it if you plan to retire in 6. However, if your finances are such that you could pay extra or pay the loan off early, you might want to go ahead. Are you planning to relocate or change employers after graduation? Employer tuition reimbursement usually exchanges financial aid for months or years of continued service post-graduation. If you leave your employment before the debt is worked off, the benefit has to be paid back to the facility. Read the tuition assistance policies carefully to determine how long you’ll need to stay on after graduation and what your payback amount would be should you choose to leave early. Is your projected BSN salary enough to balance out the student loan debt? Most BSNs end up paying around $240 per month for their student loan after graduation, so bear in mind that you’ll need to make at least that much more per month just to break even. The sad truth is that as it stands now, many BSNs find themselves struggling to make that monthly payment when there is no wage increase for earning the extra degree. Leadership roles will usually pay you a bit more, but remember to think about the schedule requirements and exempt/non-exempt status of those positions. Generally speaking, you almost can’t go wrong with more education. The more letters behind your name, the better your resume looks, and there is also a sense of personal achievement. Still, when considering a BSN program, it’s important to examine all the pieces: your goals, your finances, your lifestyle and family situations, as well as your likes and dislikes when it comes to work. Do you need to be home with your kids more? Do you rely on overtime or shift differential to make ends meet? Do you love patients but hate paperwork? These are all things to consider. We all eagerly look forward to the day when the BSN translates to tangible benefits for the average nurse. Sadly, as it stands right now, for many there is no life-changing advantage and the BSN serves only as a stepping stone to an even higher degree or advanced clinical practice. The information here is not meant to discourage anyone from pursuing higher education, only to help put the undergraduate degree and its pros and cons into perspective. If your facility requires the BSN for bedside nurses, then your choice is simple. However, if you just really love taking care of patients and have no desire to enter leadership or administration, you may fare better with a specialty certification in an area that interests you. The cost is far less, and the BSN does not focus on clinical skills. If you do want to qualify for entry-level leadership and education roles, then the BSN is the way to go. In future we hope to see the BSN carry more weight and offer more leverage, but to do so it must also provide increased skills and greater knowledge. Changes in education are likely the only thing that will translate into changes in benefits. Still, the great thing about nursing is that we have a wide-open, versatile field where there is something for everybody. Hopefully the information included here can help you decide which of those somethings is right for you in your own nursing practice.